KV Anand has come out of ‘Ko’ and is fully concentrating on his next directorial venture ‘Maatran’ which will start rolling in April. 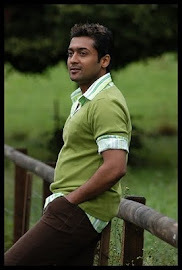 The film starring Surya has all in place to begin the shoot except the heroine. There were reports saying that ‘Aadukalam’ Tapsee has been tested for the film and the director KV Anand will decide on her soon. But most recent news coming in says KV Anand is screening a few more heroines for the film. Is he not happy with Tapsee? Sources close to the director reveal that Tapsee has been shortlisted and since Surya plays five different roles in ‘Maatran’ there is a need to look for more heroines. Remember we already said the Lady Luck was smiling on Samantha and Kajal Agarwal also.